A Little Bit of Soap was written by Bert Bern. The Jarmels, in their bluesy style, took it to #12 in September 1961. In 1963 A Little Bit of Soap became a huge hit in southeast Asia thanks to Sri Lankan musician Cliff Foenander and the Fabulous Echoes. It spent 25 weeks at number one in charts across southeast Asia. It was then covered by the Exciters and Paul Davis. In 1978 it became a hit in Britain thanks to Showaddywaddy that peaked at #5. Showaddywaddy is a pop group from Leicester that specialize in revivals of hit songs. In 1979 it was again covered by Nigel Olsson. Simon Baker. In 1999 Restaurant won an Atlantic City Film Festival award for Best Full Feature Drama. Restaurant was shot and set in Hoboken, New Jersey. No Virginia… was the first compilation album by American dark cabaret/alternative rock band The Dresden Dolls (who originated from Boston). No Virginia… was the companion piece to the duo’s second album, Yes Virginia… (2006). No Virginia… contained leftover recorded tracks that went all the way back to 2003, and B-side singles. The Dresden Dolls, consisting of Amanda Palmer and Brian Viglione are arguably credited as the most commercially successful dark cabaret band, bringing mainstream attention to the underground genre. no scientific facts to back up this diet theory. The theory says that each blood type has a different evolutionary heritage. The book, written by Peter J. D’Adamo says that blood type O is considered the ancestral blood group. Therefore your diet should resemble the high animal protein diets of the hunter-gatherer era. If you have an A blood type, you should be practicing vegetarianism since this blood type evolved after humans settled into agrarian societies. The B blood type benefits from dairy consumption because the blood type originated from nomadic tribes. 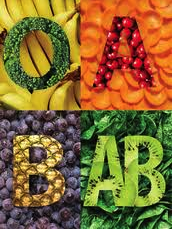 The AB blood type is an intermediate diet between A and B diets. It should be mentioned (again) that there is no scientific and/or clinical evidence to back up any claims of this diet. Don’t Call Me Baby was the third single off Canadian R&B singer Kreesha Turner’s debut album, Passion (2008). Don’t Call Me Baby was the most successful of the six singles from the album. Don’t Call Me Baby peaked at #8 on Canada’s Hot 100 Singles chart and hit the top of the American Hot Dance Club Play chart. relative’s house. They abducted Till to a barn, beat him, gouged out an eye, shot him in the head and disposed of his body in the Tallahatchie River weighted down by a cotton gin fan that they tied around his neck. Three days later Till’s body was retrieved from the river. He was returned to Chicago. His mother insisted on an open casket and a public funeral service to show the world the brutality of his murder. Tens of thousands attended the service and photographs of his body were shown in black-oriented magazines and newspapers, rallying for black support and white sympathy. 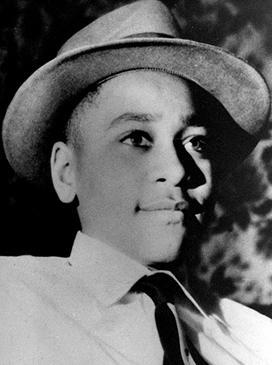 His mother’s decision worked: Till’s murder was a pivotal event that motivated the African-American Civil Rights Movement (during the 1960s), according to historians. Inexplicably, in September 1955, both Bryant and Milam were acquitted of Till’s murder and abduction, based on the absurd assumption that it was difficult to identify whether it was actually Till. The men were protected under double jeopardy when they later admitted to Look magazine (in 1956) that they did indeed murder Till. In 2004 the U.S. Department of Justice re-opened the Till case and exhumed his body to make a positive identification. (He was reburied in a new casket. This is standard practice in exhumations. His original casket was donated to the Smithsonian Institution.) The body had extensive cranial damage, a broken left femur, two broken wrists and metallic fragments in the skull consistent with being shot with a .45 caliber gun. The body was definitely Emmett Till. British children’s book written by Sam McBratney and illustrated by Anita Jeram. It was published in their native UK in 1994 and in 1995 in the U.S. Guess How Much I Love You has sold over 28 million copies worldwide and been translated into over 53 languages. In a 2007 online poll, the book was named one of the “Teachers Top 100 Books for Children” by the National Education Association. 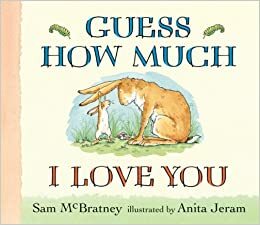 Guess How Much I Love You tells the story of two Nutbrown Hares, Big and Little. Little asks Big the titular question and as the book continues they use larger and larger measures to quantify their love of each other. In 2012, an animated adaptation aired on Disney Junior. In 2013, it received an AACTA (Australian Academy of Cinema and Television Arts Awards) nomination and was renewed for a second season. Black Pepper Jack chips. These Doritos had a more pronounced taste than the traditional nacho cheese Doritos. 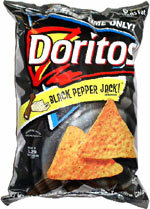 You may not have been able to taste the pepper, but these Doritos packed a kick afterwards. They are missed by many. loves of Laure, Caroline and Jessica, young women living in Saint-Tropez on the French Riviera. Laure (Benedicye Delmas) works as a doctor. Caroline (Adeline Blondieau) is a lawyer by day, trying to make it as a singer by night. Jessica is an American blond who works as a bartender, model and dancer. The soap inspired a spin-off series, Sous le soleil de Saint-Tropez, which has been airing since 2013. Sous le soleil has an international following: audiences from Latin America, Belgium, Switzerland, Italy, Slovakia, Russia, Turkey and Poland. It has also aired in Hungary, Lebanon, the Ukraine, Greece, the Netherlands and the U.S.